Average size 2 in. 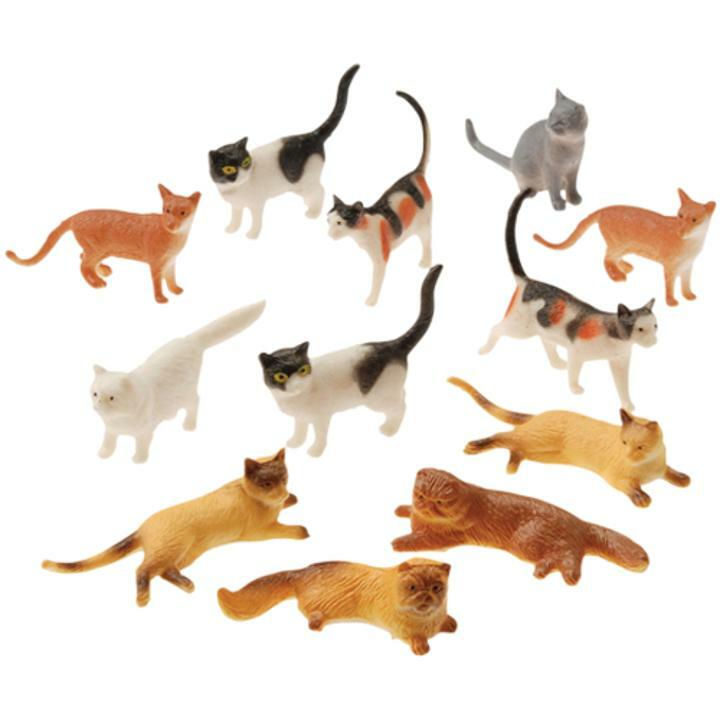 L.
Variety of plastic toy figure cats in playful postures. Makes a great party decoration to top of a table or a cake or a fun party favor. This toy animal figure will make any themed party come alive. Animal figures are fun for any goody bag or as prizes for a school or church carnival. L: 6.0 in. W: 1.05 in. H: 6.65 in.